Read the rest of our review, and check out a few pictures from the evening after the jump! Clearly well-rehearsed and in perfect sync with their crowd, the five-piece were step-for-step with each other, playing in excellent harmony while commanding the crowded room. 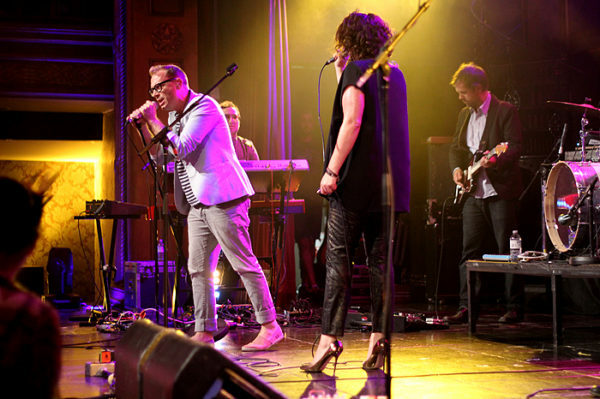 Standouts from their immense, two-decade spanning catalog were next, as nearly everyone in the GA pit belted out every reverberation that co-vocalists Torquil Campbell and Amy Millan threw out to “Alone”, “Ship to Shore”, and “Elevator”. For nearly two hours, Stars treated the Mile-High City to more than enough live exuberance and effort to warrant their fans’ presence and reaffirm themselves as one of the world’s most powerful synth-pop acts in existence. 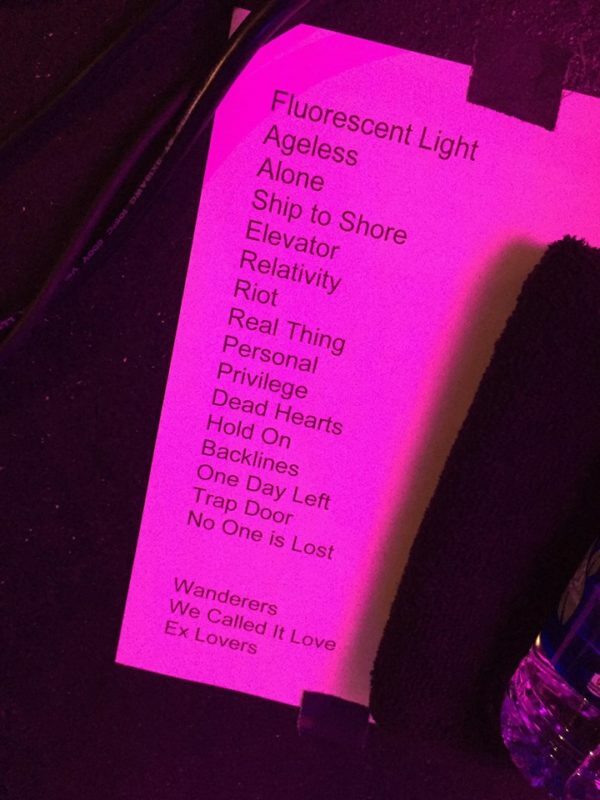 It was a heartfelt close and encore as Stars “finished” on “No One Lost” before dipping back out for a three song encore which included “We Call It Love” and “Ex Lovers”. We’re beyond excited to have caught Stars in our home city, living up to, and even exceeding much of this writer’s performance expectations. 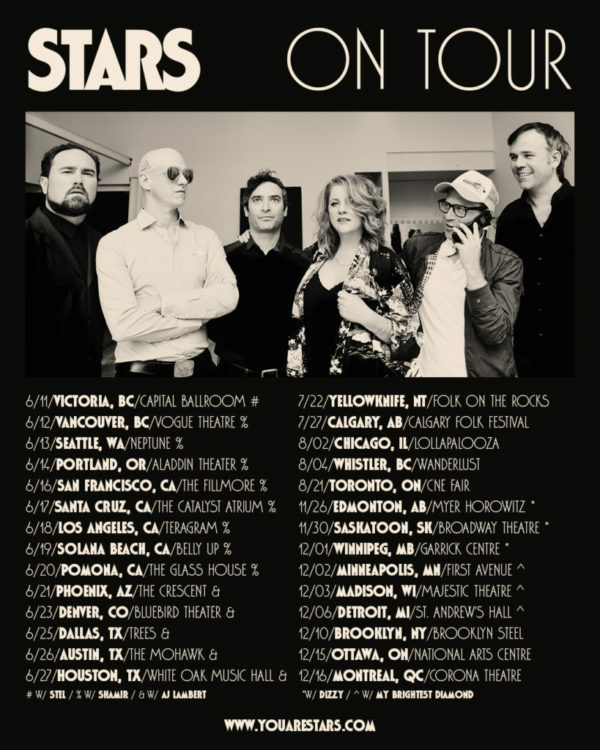 Check out the rest of Stars’ complete tour dates from the poster above, and be sure to snag a ticket when they come through your city.